One thing Tiffany Hsiung’s documentary does so well is educate. So many people throughout the world do not know the story of the comfort women. Young women in former Japanese colonies still don’t know the story of the comfort women. 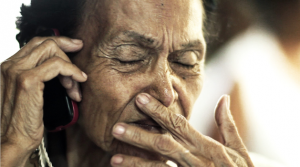 After meeting Grandma Gil, Grandma Cao and Grandma Adela from “The Apology,” and learning about what they had to endure, how they feared telling their stories because of the shame and stigma and how decades later they might finally be able to have some peace of mind, is satisfying in a way. Although these women haven’t received justice yet, being able to tell their stories and be believed in incredibly powerful and healing. 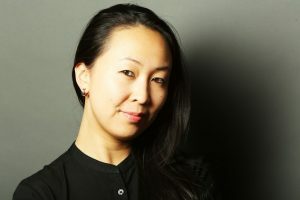 Now that you’ve had some time to digest this dark chapter in Japanese history, read my exclusive interview with director Tiffany Hsiung on why she decided to make this film, what we can learn from these grandmothers, how it’s important for women to be able to tell these stories — both in front of and behind the screen and more. Tiffany Hsiung: “You know what, there’s duty, there’s honor, there’s responsibility I think more so than anything else. It’s a responsibility after hearing these stories and being with the grandmothers on that initial visit that it’s up to us. It’s really up to us collectively as a community how we share these stories, how we ensure that what they experienced doesn’t just go and die in vain, that it does make change and it does educate the world. Because things like this happen over again, history does repeat itself if we don’t learn from it. Their ongoing fight isn’t just for them to receive a formal apology and justice, it’s actually for all of us today, so it makes it a very contemporary story. TV GOODNESS: In addition to these incredibly powerful and personal stories, I do appreciate that you included the Japanese politicians’ inappropriate comments about how comfort women were necessary. And there are some people who are yelling at these women and attacking them when they’re just trying to tell their story. How important was it for you to include that in the film? Hsiung: “It was really important to include that just to allow people to see what these grandmothers were up against. But it’s also really important to include the Japanese university students, these young women who didn’t know this history and really connected with these grandmothers, [telling] the stories because at the end of the day it isn’t us versus them. I don’t think that gets us anywhere. It was really important to showcase that yes, these grandmothers, like many survivors, are always up against adversity whether it’s government, whether it’s right-wing protesters or politicians or just even regular everyday trolls on the internet. There is so much of that that still exists today here in North America [and] all around the world when a survivor comes out. That’s the universal story, so to show what the grandmothers had been facing over these years, when they do try to go and testify and share their stories. TV GOODNESS: I appreciate that you did. Other than just educating people on what happened to these women, what do you want people to get out of the film? 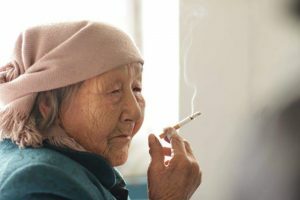 Hsiung: “Ultimately, I think on a personal level with the grandmothers, I wanted to share their resilience, their human spirit that can inspire us all. [It’s] really rare to see grandmothers being showcased as heroes, as a pillar of the strength for the next generation. Global society lost that with learning from my elders and learning from our past. I hope that we can start focusing on that before our elders pass away. Encouraging those to see the roles we all play in perpetuating the stigma and the silence and the shame of probably not talking about it, by not listening to these stories, by not sharing more because a lot of what we share with the grandmothers stories, with their family, with their community, maybe with themselves, there’s a story about the complexities of wanting to come out, wanting to speak out. TV GOODNESS: Is there anything you want to talk about that I haven’t asked you? Hsiung: “I think in terms of how this film was made, it’s just shining light on a really strong female supportive presence in making this movie. The last few films that were made on this subject matter are all predominately directed by men and a male crew. We are moving into a time where there is more push for equality both in front of the screen and behind the screen. 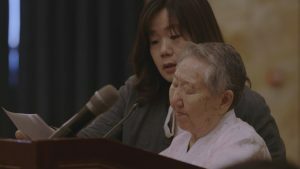 The Apology is now streaming on pbs.org.